Finding the right deodorant that does the job, doesn’t leave those awful white marks and smells somehow clean is a very tricky task, as we’re all aware. I have went through so many bottles and brands trying to find one that works for me and its rare you find one. However, today I’m going to talk to you about something a little different, something a little more premium yet perfect in every way. 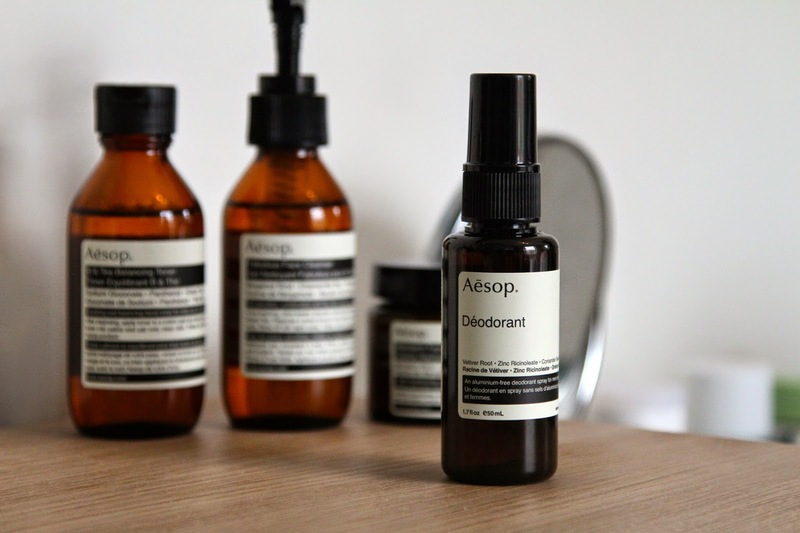 This little gem, the Aesop Deodorant is one of those products you least expect to be… well delightful. The first thing you notice on application is the unique distinctive smell, which I must say is so refreshing and clean. When I say clean I mean the scent leaves you feeling cleansed and ready for the day. Containing essential oils such as lemongrass, clove and vetiver root, the well combined smell lasts for a very long time leaving no white marks or irritation. The solution also has Zinc Ricinoleate to take away the smelly bacteria that grows under your armpits. Disgusting I know! But it all happens to us. Simply spray under each arm after your shower or bath and allow to dry. Re-apply when needed throughout the day. The best thing is this 50ml spray bottle is small enough to fit in your bag or pocket so its nice and handy unlike those cucumber sized deodorant bottles you find in high street drug stores! You guys know what I mean. I highly recommend trying this little wonder out along with the other amazing Aesop products there is on the market, a few featured in my previous posts.